"Although released before “Let It Be”, “Abbey Road” was The Beatles’ the final album – The biggest band in history at the very height of their success. Paul McCartney then went on to form “Wings”, a phenomenal band that released 23 singles and 9 albums, and toured extensively.“Wings over Abbey Road” is a celebration of The Beatles at their peak, and Paul McCartney's Wings. The first half of the show is a live performance of the entire Abbey Road album. The second half is Wings’ greatest hits, including such classics as: “Band on the Run”, “Live and Let Die”, “Jet” and many more. 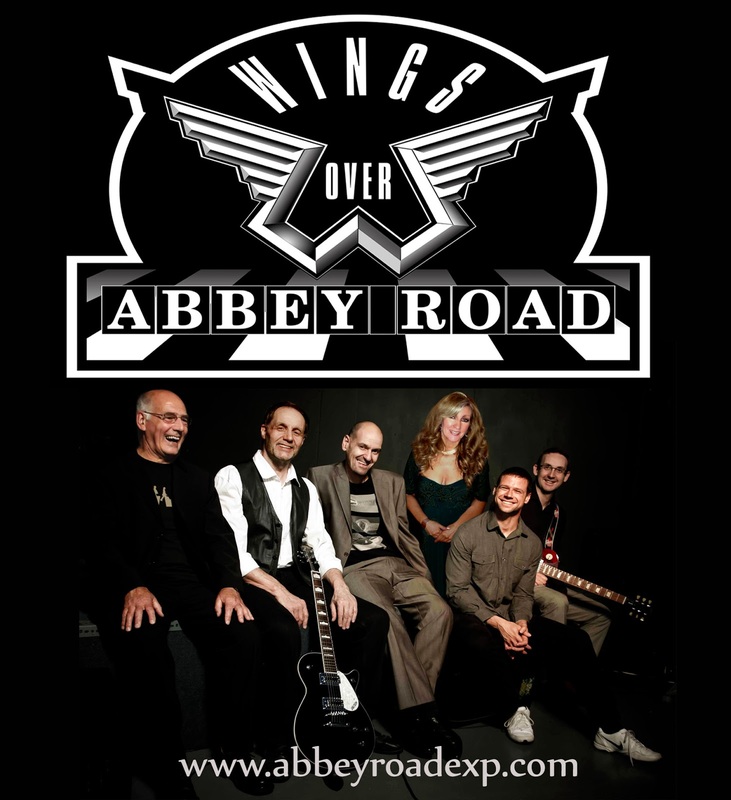 “Wings over Abbey Road” – Top class musicians and vocalists performing and celebrating top class songs from world-class artists! It’s an evening not to be missed!" Yours Truly KJS understands that the new set list will include "Jet", "Silly Love Songs", "Maybe I'm Amazed", "Junior's Farm", "Let Me Roll It", "Another Day", "Bluebird", "Letting Go", "Let 'Em In", "Listen To What The Man Said", "Live And Let Die", "Band On The Run", "Mull Of Kintyre"
ELO Beatles Forever [ELOBF] recommends The Abbey Road Experience and Wings Over Abbey Road to those enlightened folks who enjoy the music of ELO, Jeff Lynne, Roy Wood, The Move, The Idle Race, 'Brum Beat', The Beatles and related artistes.